This release presents a classic Pourcel album from his Capitol period: "French Sax" (Capitol T10126). Devoted to so-called “mood” music, "French Sax" was recorded in Paris and released by Capitol in 1956 for the American market only. However, unlike the majority of Pourcel’s USB Capitol releases, French Sax was also issued in Brazil by the Odeon Blabel. The album featured the French alto saxophonist Jo Krasko and was considered one of Pourcel’s best “mood” albums. As a bonus, two tracks belonging to another Pourcel album from the same period, La Femme (composed by Les Baxter and Capitol’s producer Dave Dexter, Jr.), which also featured Jo Krasko on alto saxophone as well as Pourcel’s long-time collaborator Raymond Lefèvre on piano. 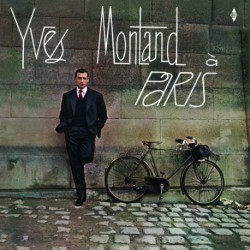 Recorded at Pathé-Marconi studios, Paris, 1957. Jo Krasko (as on Side A ), Raymond Lefèvre (p, on Side Two ). From the album "La Femme" (Capitol, T10015, 1957).